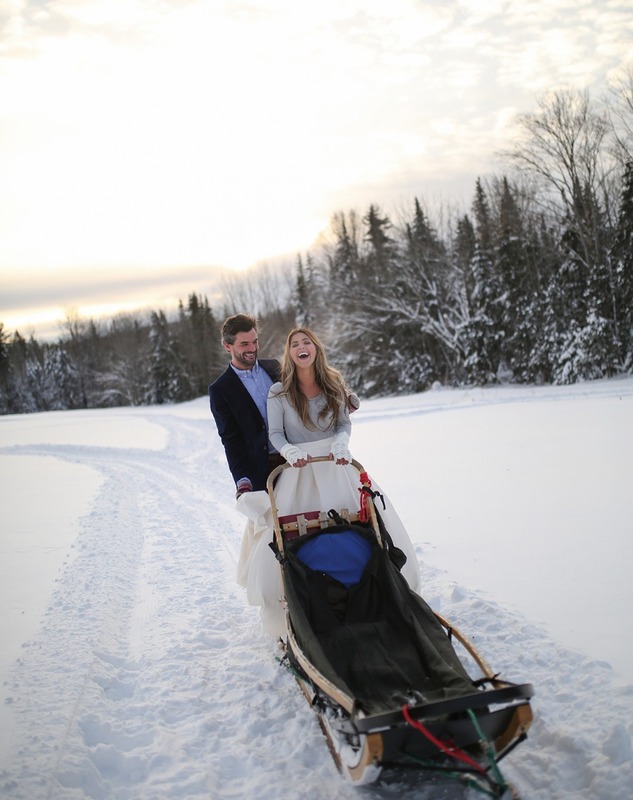 Winter is a great season (as long as there is snow) So why not plan your best day ever as a romp in a winter wonderland? 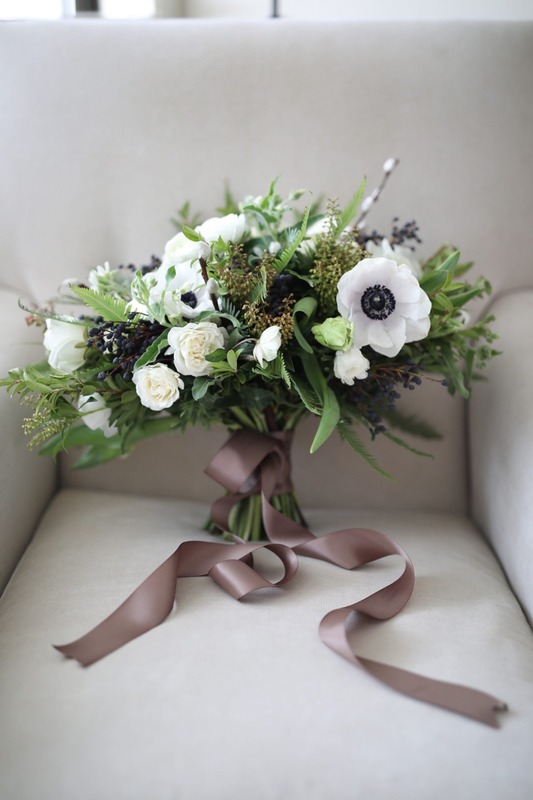 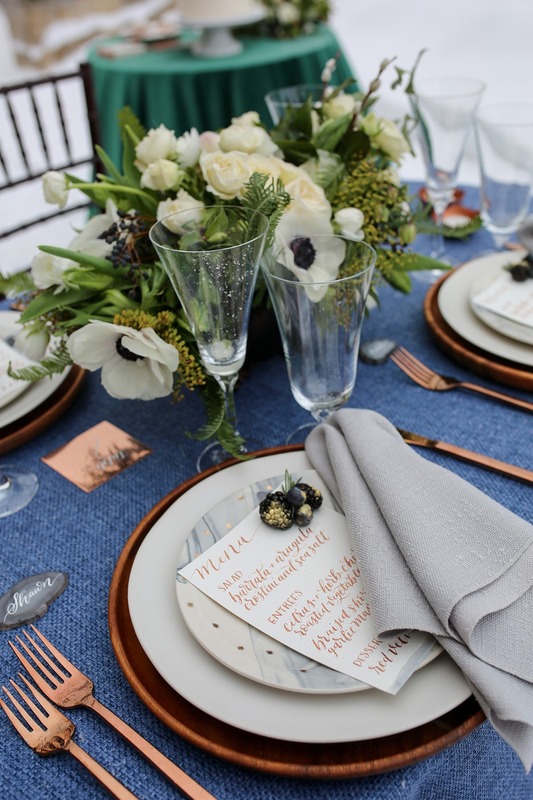 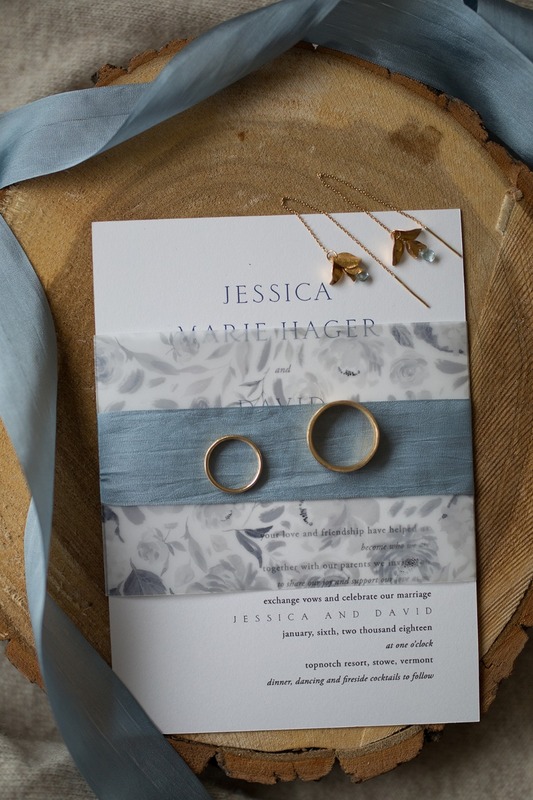 We teamed up with Mary Kate Kinnane from the Local Bouquet, Maaike Bernstrom and Taylor Henderson along with all their talented wedding vendors to bring you just that. 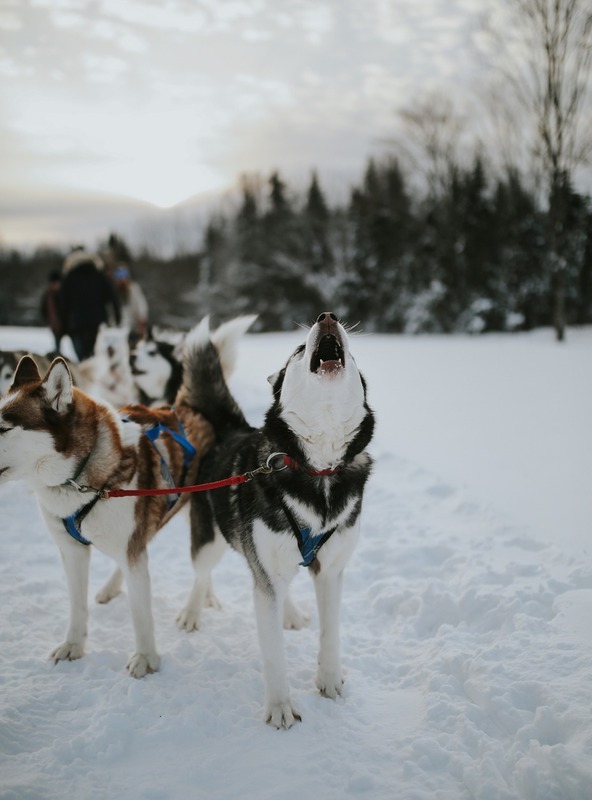 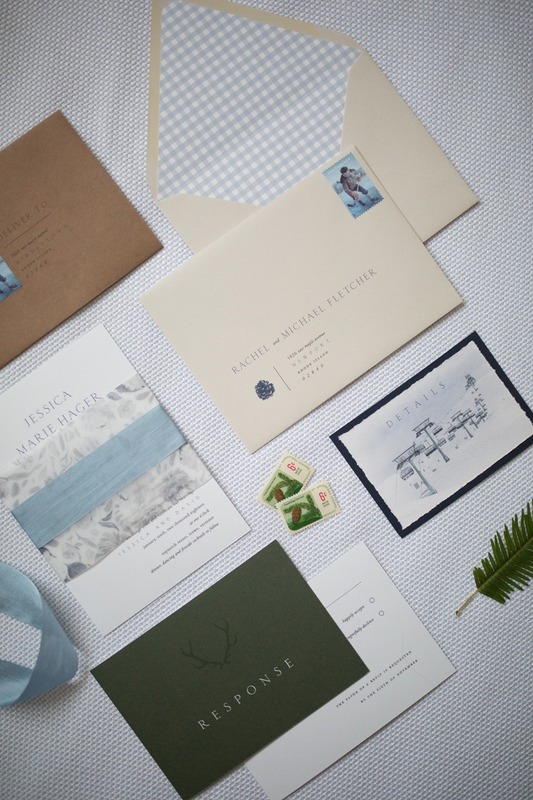 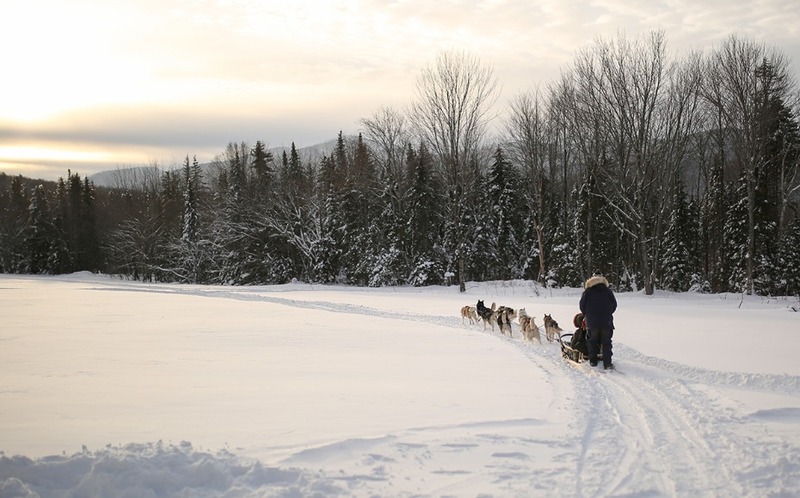 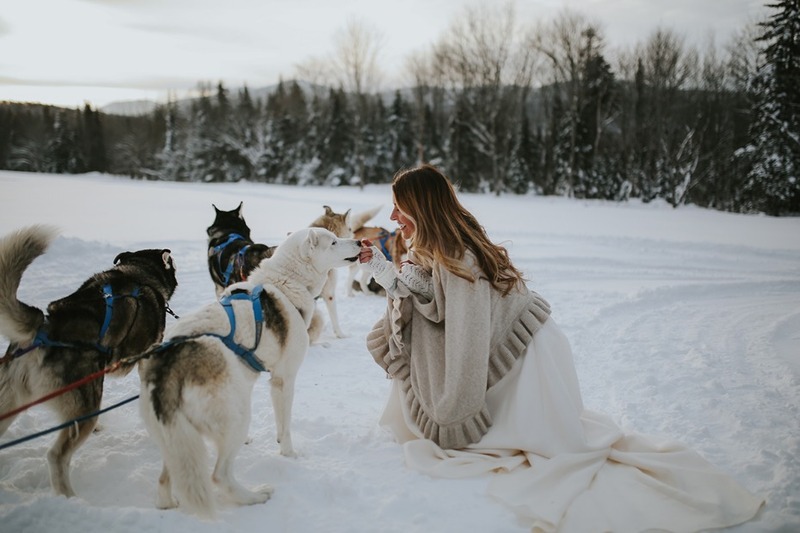 A fun filled wedding day idea with Snow, skies oh and did we mention a full team of huskies? 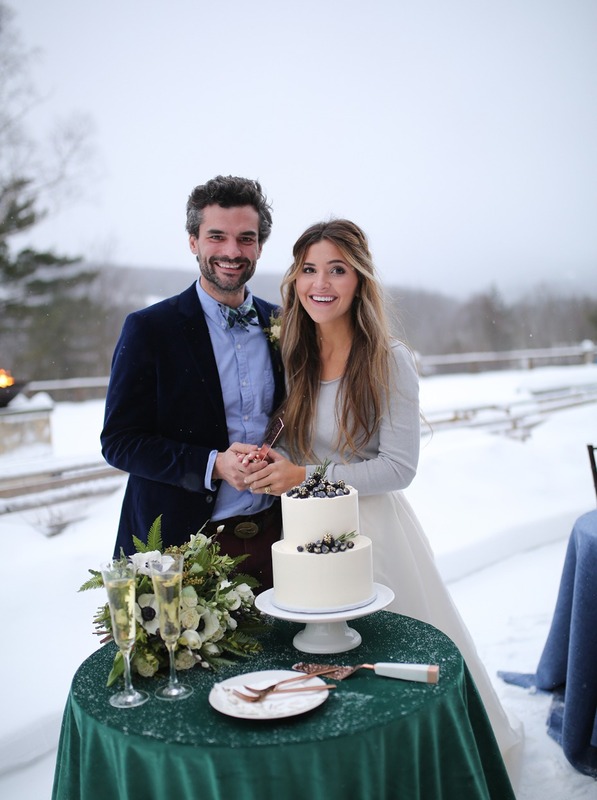 You need to keep scrolling to see the sweet day this cute couple had all while surrounded by a soft blanket of snow. 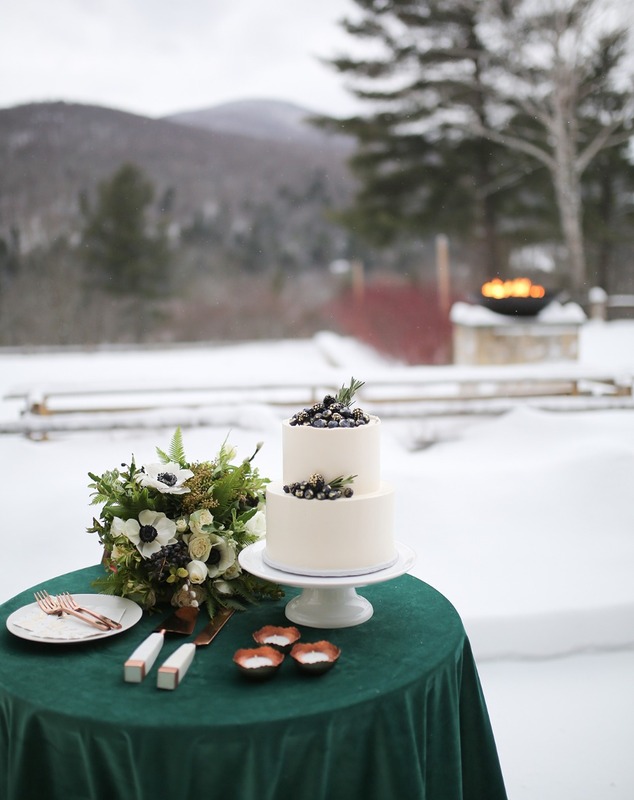 Oh and don't miss a single moment with our full gallery of photos just waiting for you. 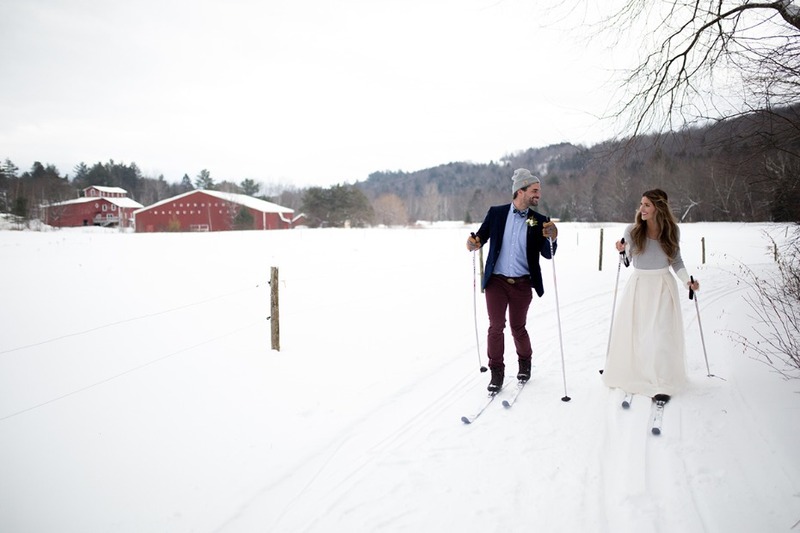 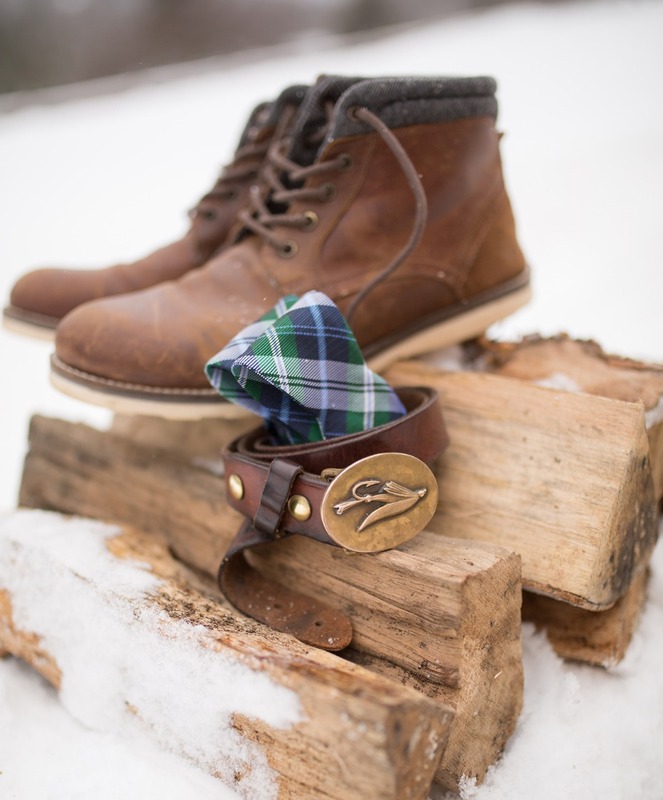 The vision behind the shoot was to illustrate the desire of couples to celebrate weddings and elopements in an adventurous outdoor way during the Winter months. 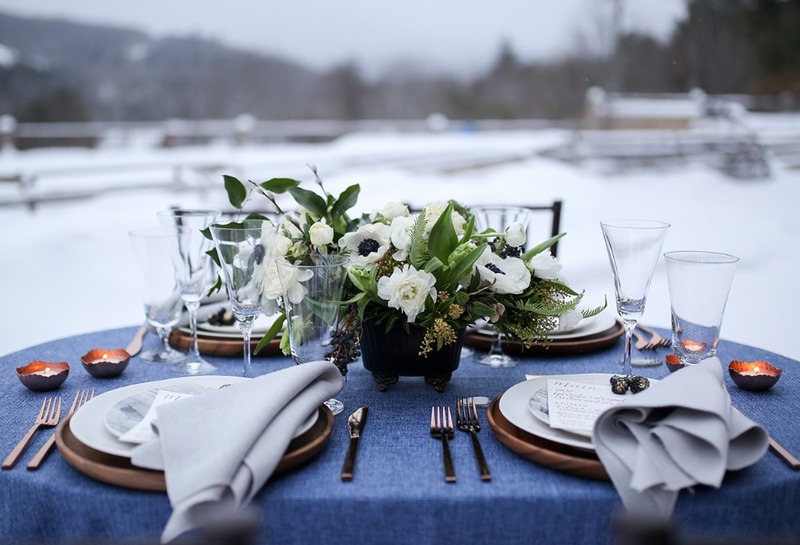 For this shoot, we chose to showcase American grown flowers, local artists, and a beautiful Vermont backdrop. 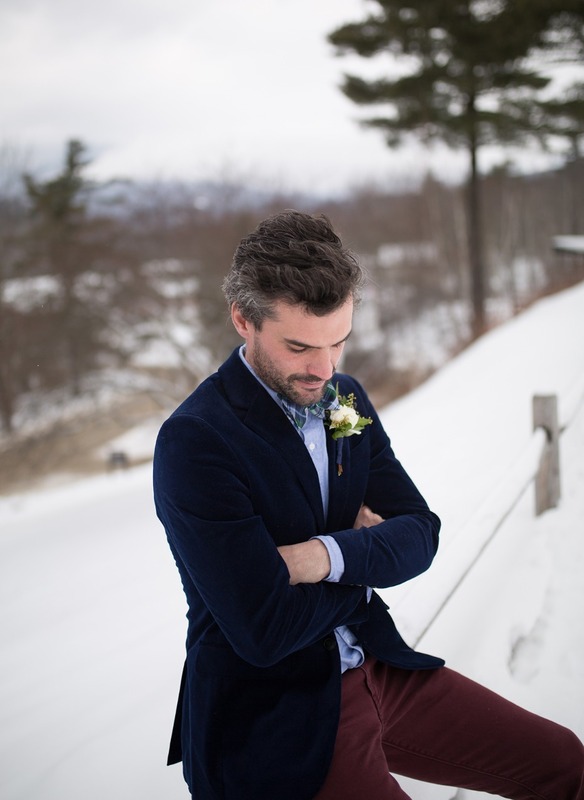 For the groom, we gave him a rougher look to show that a wedding day doesn’t have to mean a full suit or being clean-shaven. 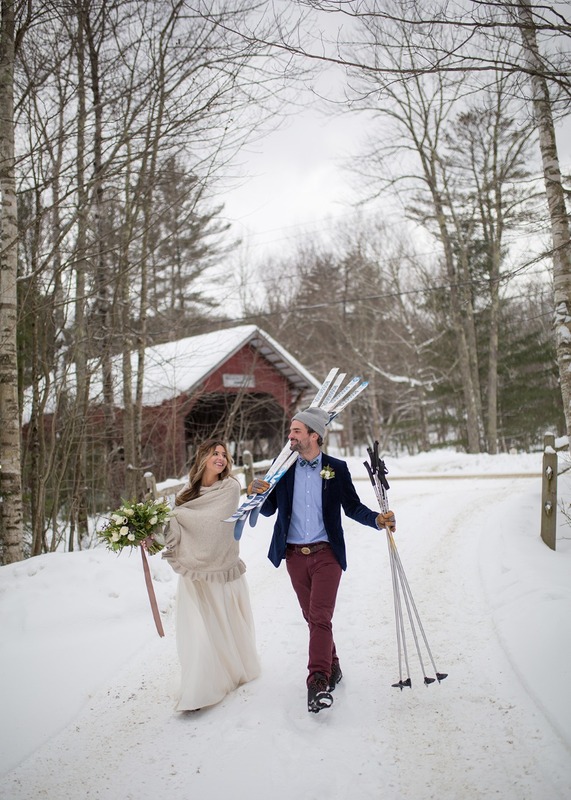 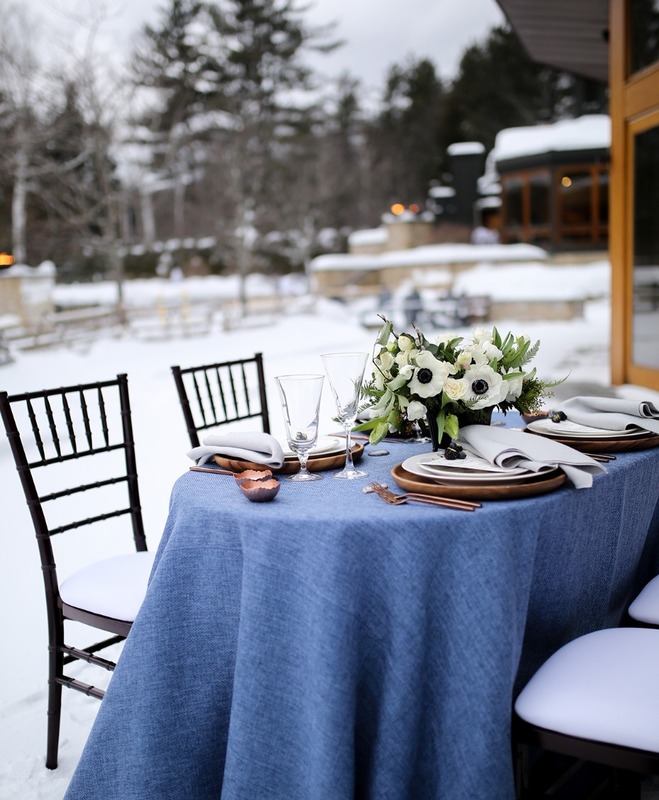 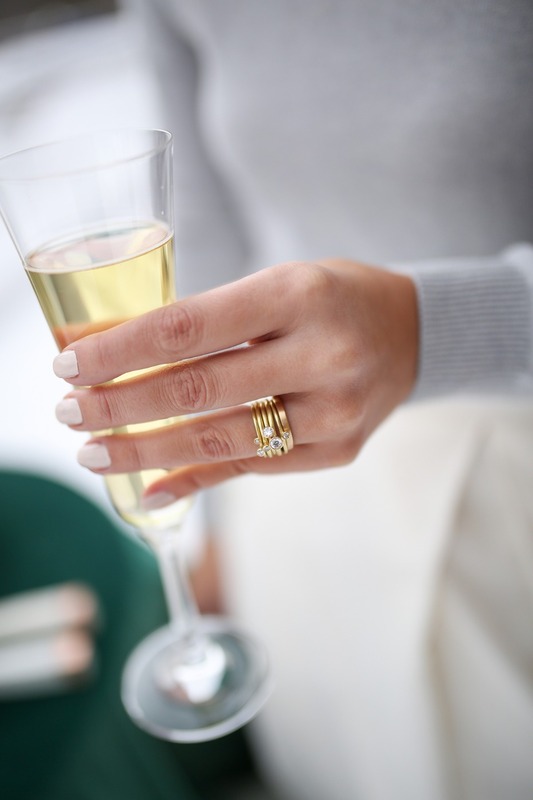 We wanted to illustrate that a winter wedding should be relaxed, easy and fun, even in the worst of weather. 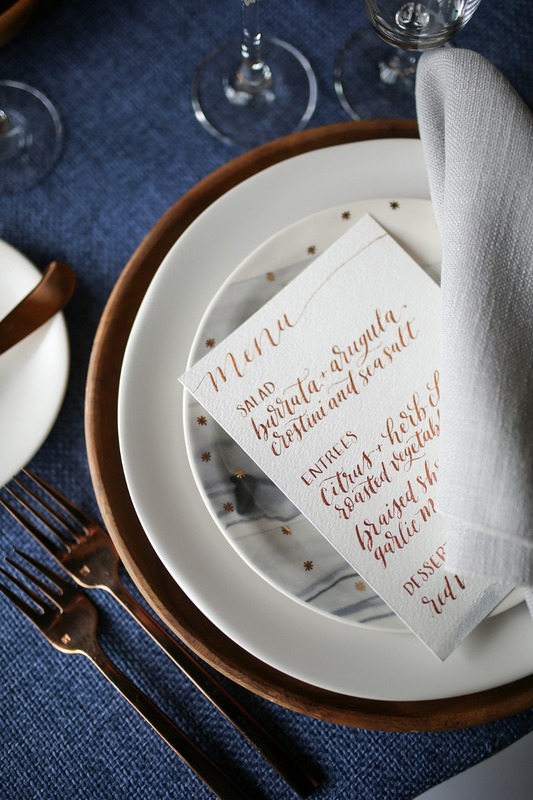 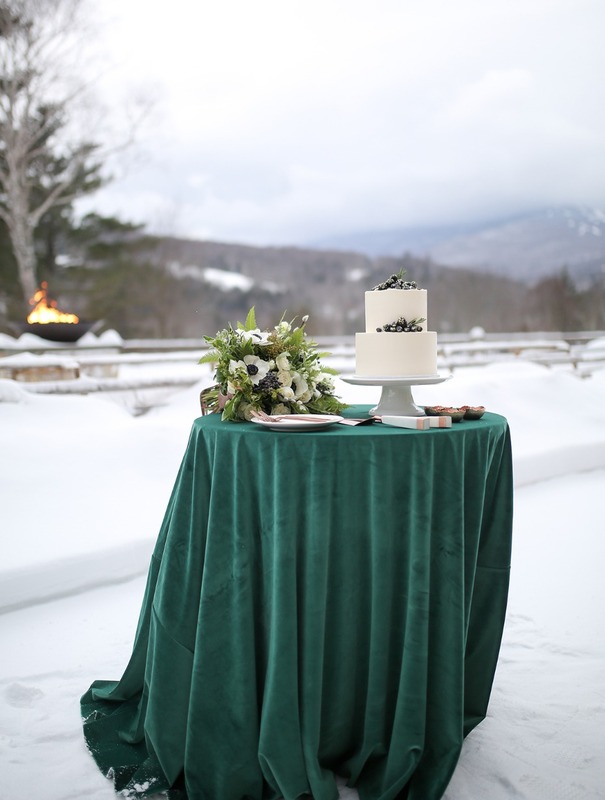 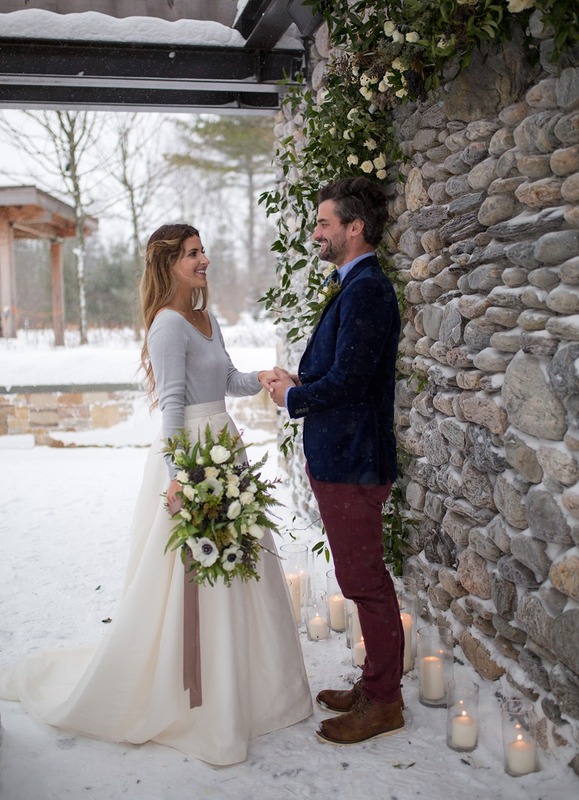 We sourced from talented vendors including a custom-made sweater + skirt for the bride, jewelry from a RISD graduate and a gilded fruit-decorated cake from a Rhode Island-based cake designer.